The Joint Review Panel has moved the first two days of hearings on the Northern Gateway Pipeline from the Kitimat Riverlodge Recreation Centre on Jan. 10 and 11 to the Haisla Receration Centre in Kitamaat Village. CALGARY, Dec. 22, 2011 /CNW/ – The Joint Review Panel (the Panel) conducting the review of the proposed Enbridge Northern Gateway Project has changed the venue for the following community hearings. The community hearings will start on January 10, 2012, in Kitamaat Village instead of Kitimat. For more information on the joint review process and the detailed schedule for the first portion of the community hearings, please visit the Panel’s website at www.gatewaypanel.review.gc.ca. The Panel will continue to share details about the community hearings as they become available. Members of the media are welcome to attend the community hearings. Filming, recording and photographing will be allowed within pre-established fixed locations in the hearing room while the hearings are underway. Media reporting or interviews will not be allowed in the hearing room. The Panel reserves the right to modify the media procedure for the hearings at any time. The Joint Review Panel for the Enbridge Northern Gateway Project is an independent body, mandated by the Minister of the Environment and the National Energy Board. The Panel will assess the environmental effects of the proposed project and review the application under both the Canadian Environmental Assessment Act and the National Energy Board Act. The proposed Enbridge Northern Gateway Project involves the construction of two 1 170-kilometre pipelines running from Bruderheim, Alberta to Kitimat, British Columbia and the construction and operation of the Kitimat Marine Terminal. 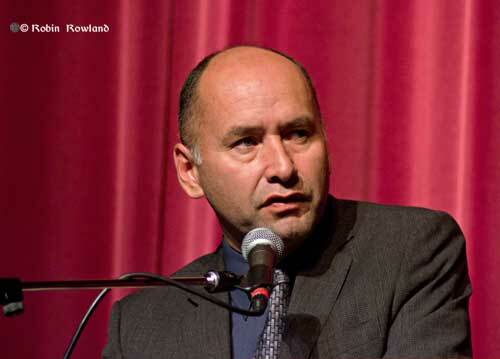 Haisla Nation Chief Councillor Ellis Ross said Friday that Haisla will not “negotiate” with Enbridge over its planned Northern Gateway Pipeline until after there has been a decision from the Joint Review Panel on whether or not the pipeline is in the public interest. Ross said the Haisla had recently written to Minister of the Environment Peter Kent, asking if the Crown was prepared to enter the constitutionally mandated consultations with First Nations over the pipeline. Ross says Kent’s reply indicated that there would be no Crown consultations until after the conclusion of the Joint Review Process. 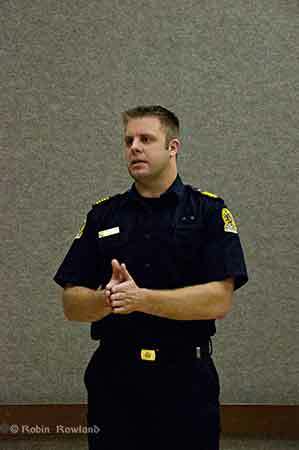 The Joint Review Panel hearings begin in Kitimat on January 10, 2012. The hearings will proceed in two stages, first hearing presentations from registered intervenors, with the second phase hearing from members of the public who wish to give 10 minute comments on the pipeline project. That stage of the process could take up to three months before the panel can even begin to consider a decision. Earlier today, in the news conference with Gitxsan heriditary chief Elmer Derrick, Enbridge executive vice president of Western Access Janet Holder told reporters that the company was negotiating with all 50 First Nations along the pipeline route. Ross disagreed with that term. 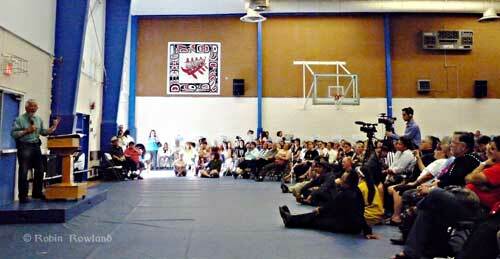 He said, “The Haisla are not negotiating with Enbridge. You can’t confuse negotiation and talking.” He said without the participation of the Crown there is no real process for negotiations and accommodation with First Nations over the pipeline. The Haisla have always been wary of the Enbridge project but have also been careful in stating their opposition to the pipeline. 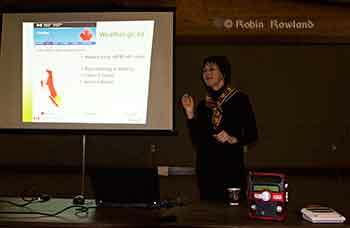 At public meeting in Kitimat in September, Ross said, in part. As far as we can tell, based on oil company’s track records, there will be a spill whether it is pipeline, terminal or tanker. And ultimately, apart from the acceptable risks that Haisla have already taken on against our will as well as current risks that we are a part of mitigating, why do we want to consider a project that has the potential to destroy the beauty of our resources that are still left? Other First Nations also reacted strongly to the Gitxsan chiefs’ decision. Enbridge is just not going to happen. We have said no and banned this pipeline from going through our territories – not only to protect ourselves and our lands, but also all the communities downriver from our lands. We have reviewed the project, and we have made a decision based in our traditional laws that we will not allow the devastation of an Enbridge oil spill in our lands to affect us and other communities further away who are all connected to us through the water. 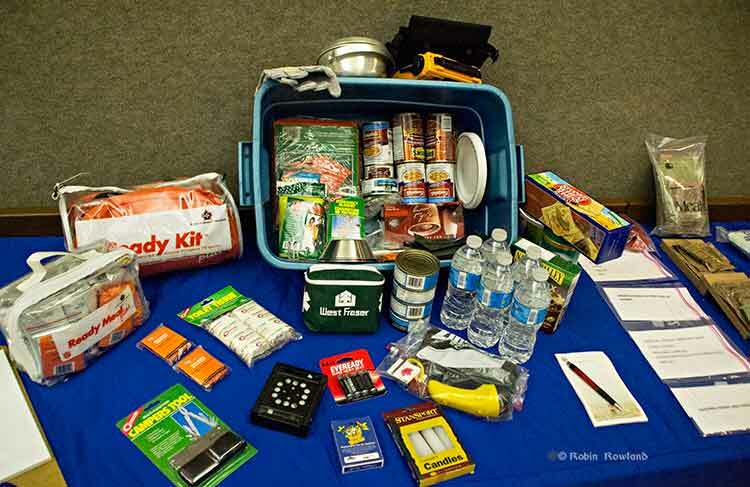 Enbridge has always had a strategy of offering money to lots of First Nations. Lots of First Nations have refused this money. This is just the same old divide and conquer tactic we’ve known for centuries. It doesn’t matter who they get a deal with. The wall of First Nations saying no is unbroken. They plan to come through our territories and we’ve already said no, and we’ll use every legal means we have to stop them. Their proposed pipeline is against our laws because we refuse to put our communities at the risk of oil spills. Water means more to us than money. We know we have overwhelming support from a large majority of British Columbians for stopping this dangerous Enbridge pipeline. BC Premier Christy Clark made a flying visit to Kitimat Monday, Sept. 19, 2011, dropping into Kitamaat Village to meet with the leaders of the Haisla First Nation and, as part of the flying, boarded a helicopter to take a look at the KM LNG at under construction at Bish Cove, before flying out again. It was all part of the premier’s campaign style job strategy which sees Clark touring the province this week and unveiling a complete jobs package on Thursday. 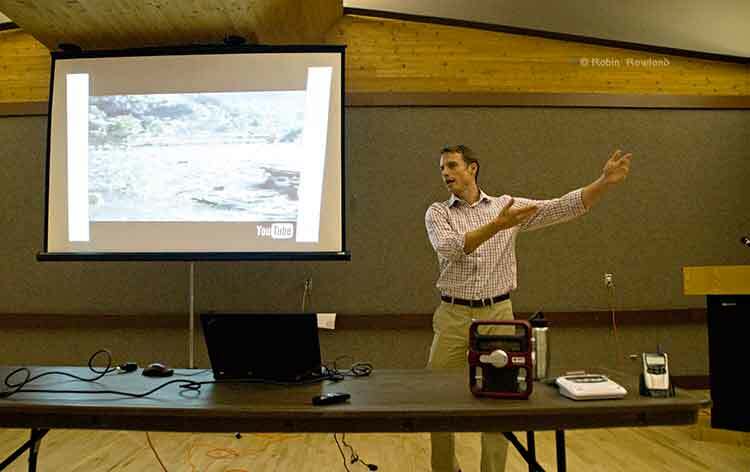 The proposed liquified natural gas terminals at Kitimat are not as controversial in this region as the proposed Enbridge Northern Gateway pipeline. There is general support for the LNG projects, allowing for safety concerns about LNG tankers and environmental problems from the construction of the pipeline. Clark’s visit to the Kitimat region is controversial here because from all appearances, there was little or no substance. If the visit had in been the early decades of the last century, when politicians traveled by train rather than helicopter, it would have been a “whistle stop,” nothing more. 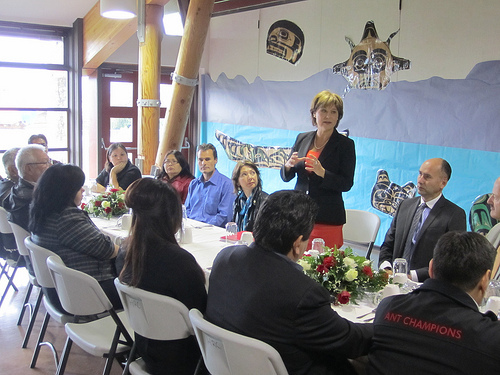 A BC premier visiting the traditional territory of the Haisla First Nation should, of course, make a courtesy call on the leadership in the village, although it appears the visit was short, routine rather than a truly substantial meeting. As for the rest of the Kitimat region was concerned, the premier’s short in and out photo op was not aimed at helping the people of Kitimat but appeared to be more spinning her jobs strategy throughout the rest of the province which is less familiar with the history of development in Kitimat. No one in the local media, the Northern Sentinel, Kitimat Daily nor Northwest Coast Energy News were given any information about timing of the premier’s visit, perhaps because local reporters might ask tougher questions than the BC legislature pool traveling with Clark. The Northern Sentinel only found out about the time of the meeting after one of the numerous calls made by local media was actually returned in time for their reporter to be in the village for the premier’s visit. As of Sunday, no meeting between the premier and Kitimat Mayor Joanne Monaghan was scheduled. At the last minute, after some political arm twisting, the premier did have a brief ten to fifteen minute meeting with Monaghan and Municipal Manager Ron Poole at the village on Monday. (It should be noted that members of Kitimat council will meet with Clark at the up coming convention of the Union of BC Municipalities). At 14:55 Monday, Sept. 19, Clark (or her PR team) tweeted. The message was quickly retweeted by Clark supporters. That tweet raised eyebrows, since the process for the KM LNG is already well under way, with construction apparently on schedule for the 2015 date when the first natural gas will flow into a tanker. The licence for KM LNG is in the hands of the federal National Energy Board. Cutting red tape: accelerate the lengthy permitting processes and improve the decision making required to bring large-scale production facilities from a concept to a reality, and that these commitments will be a greater priority for B.C. on a go forward basis. Skills training: working with industry partners for some time on the future skills required to support a new LNG industry. The goal is to ensure the post-secondary system is able to deliver the targeted training necessary to grow the oil and gas industry, including LNG. Attracting investment: by working with industry stakeholders and First Nations to remove the barriers and secure the investment required to establish up to three LNG plants by 2020. As of today, the Province is aware of a handful of LNG proposals. Michael Smyth of The Province (along with a number of Tweeters) noted that most of Clark’s announcement was recycled. Those same economic storms have buffeted the government, too, and Clark doesn’t have a lot of money to spend on direct job creation — not if she keeps her promise to balance the budget in 2013. So, expect many re-announcements of old projects. The proposed Kitimat liquefied natural gas plant Clark trumpeted Monday, for example, was approved three years ago. She’s also expected to cheerlead the Northwest Transmission Line project this week, another one that’s been in development for years. Without a lot of money to throw around, Clark will talk about getting government out of the way of private-sector job creation. Deregulation and cutting red tape is less expensive than direct stimulus spending to create jobs. The environmentalists won’t be happy when she starts fast-tracking permits for mining and other resource extraction, but losing “green” votes is the least of her worries. The Rim Gas Project, which includes Petro-Canada of Calgary, Westcoast Transmission of Vancouver and Mitsui and Co. Ltd. of Japan, wants to deliver and sell liquefied natural gas to Japan from a plant it will build at Bish Cove, six miles from Kitimat. I see media wonks waffling about LNG/Kitimat/need for cheap energy. Remember Kemano Completion? Ask Rio Tinto re: hole in the mountain. When you look at where the gas would come from, we’re talking about major shale-gas deposits. There are big concerns there, from an environmental perspective, around water usage and whether it’s sustainable, and water contamination when it’s injected underground to bring the gas to the surface – the fracking process – and a lot of greenhouse gases produced. Palmer reports that the NDP house leader John Horgan has indicated that he and Opposition leader Adrian Dix support LNG exports. In Horgan’s estimation, it could be piped to the coast, liquefied and shipped out with minimal risk. “Liquid natural gas doesn’t stick to things. It blows up, or it vents. So the environmental consequence of a catastrophe with an LNG tanker is relatively insignificant,” he told me during an interview on Voice of B.C. on Shaw TV. “So the risk to our coastline from LNG is insignificant; the benefit to British Columbians is quite significant. And it’s our resource, so we’ll get the royalties for extracting it, we’ll get value added by getting it to an LNG facility, and then we’ll get a better price for it in Asia. For “you can’t rush these things” is precisely the opposite of what industry analysts are saying about LNG development. The window on the Asian market is closing, and if B.C. doesn’t get moving, the opportunity will be gone. Again. One wonders where Palmer gets his evidence that window of opportunity for the Asian markets is closing? With the Fukishima meltdown, the market window for LNG is actually expanding, not just in Japan but across East Asia. What some in the energy industry are warning about is Canadian gas being exported through the United States, warnings that were prominent at the NEB hearings in Kitimat last June and is largely industry spin trying to hurry the approval process along. The controversy over fracking will continue, with the energy industry claiming it is safe and the environmental activists saying it is not. What is apparent about fracking as Pro Pubilica have pointed out in their continuing investigation of the issue, is that use of the process on a wide scale is new and there aren’t enough adequate studies of the process. Inadequate study could mean consequences down the road, we don’t know, so there should be some caution. The blasting continues at the KM LNG site at Bish Cove as the shoreline rocks are levelled to close to sea level. Meanwhile the political spin pitches just as much hot air and debris into the atmosphere.